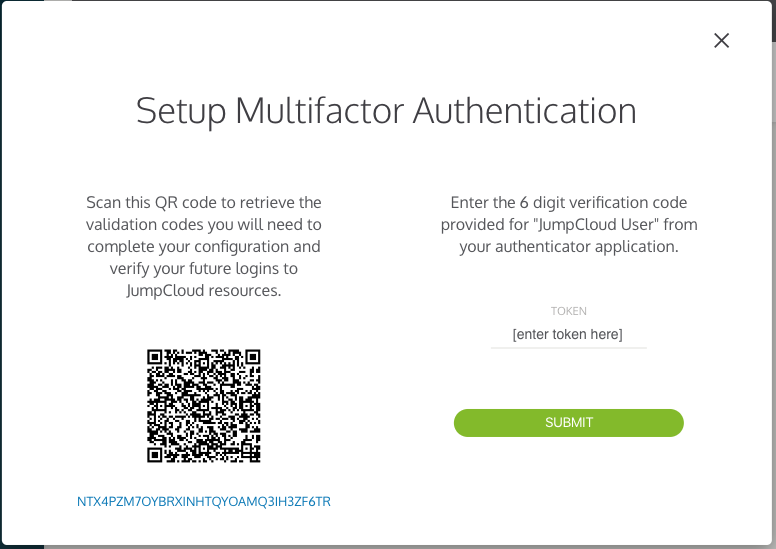 JumpCloud multifactor authentication supports TOTP based tokens. 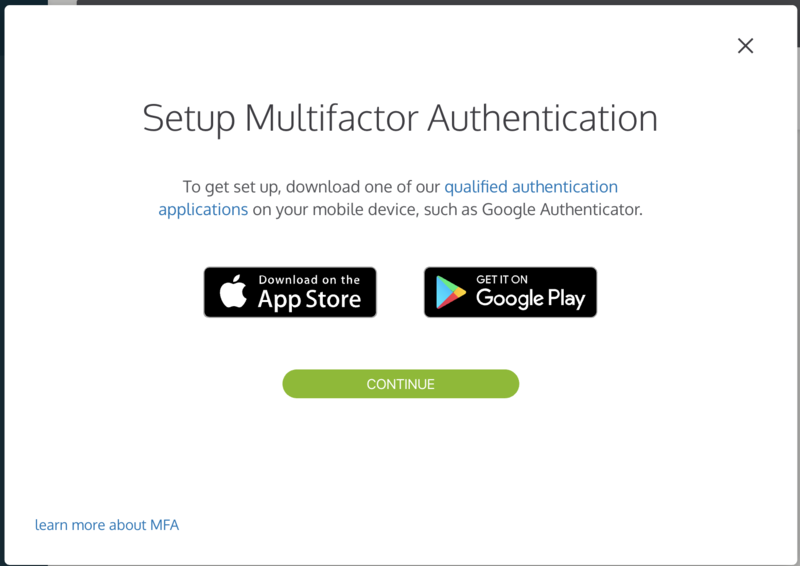 Users setup MFA in the JumpCloud User portal in the Security section. After you install a compatible application, begin setup. Go to the User Portal https://console.jumpcloud.com. The User Portal detects that you are in an enrollment period, and after you log in, are prompted to set up MFA. 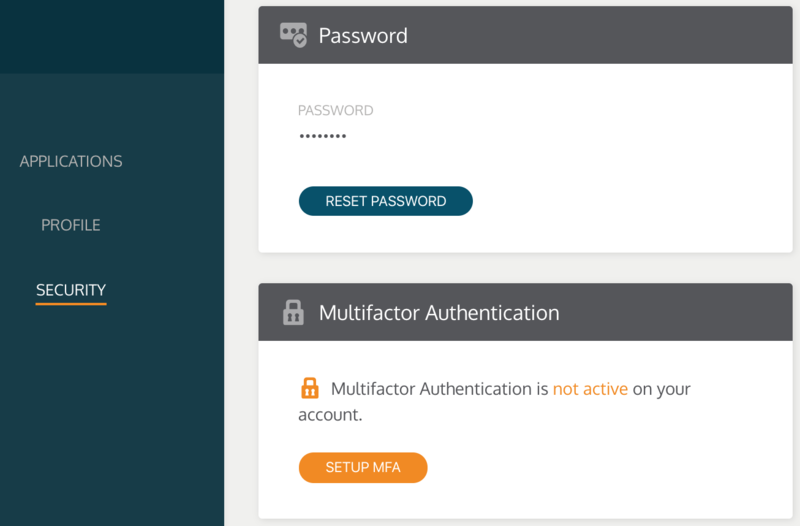 On the Setup Multifactor Authenitcation window, click Continue. You are presented with the QR code representing your TOTP key. Scan or copy and paste the QR code in your TOTP application. You are presented with a 6-digit verification code in the TOTP application. Enter that token, then click Submit. For MFA enabled resources to enforce MFA login, the TOTP key must be validated in the JumpCloud user portal. To verify the key, users must enter two valid tokens. This rule works on a user-by-user basis. For example, if MFA is enabled for a given Linux server, and User A has validated their key, they are prompted for a token. If User B has not validated their key, they aren't prompted. Because the device containing the TOTP key may be a single point of failure, in case of loss or breakage, it's recommended to record and store the TOTP value in a safe place as a backup. Most apps that generate TOTP tokens allow the TOTP key to be entered manually, which means it can be typed in rather than scanning the QR code to restore the ability to generate tokens on a new device or app.